Workers at the SABC will embark on pickets across the country against the planned retrenchments at the public broadcaster. The SABC plans to shed over 900 permanent jobs and 1500 freelancers. The Communications Workers Union (CWU), Bemawu and the SACP will all picket in solidarity with workers. "All our members at the SABC will definitely be out at 12:00, including the casual workers. 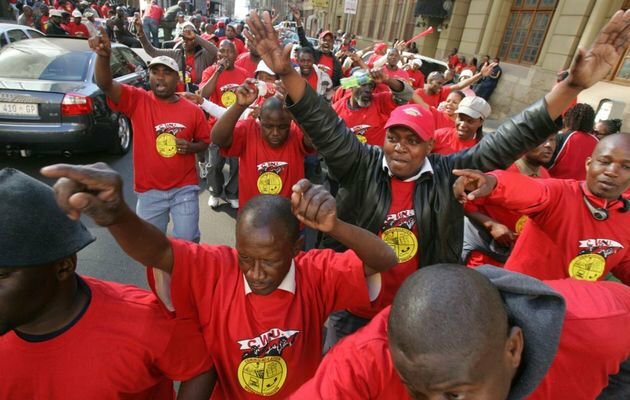 They should not be scared, there is nothing stopping them from exercising their democratic and constitutional right, no matter the correspondence that has been written to them," says CWU spokesperson Aubrey Tshabalala. Reports emerged on Thursday, that the SABC warned casual staff to not take part in Friday's picket. "We anticipated that there would be threats. We read that document from the SABC, basically its preempting the future and says that our picketing might have elements of an unlawful protracted strike. "In other words, they are thinking there will be elements of unlawful misconduct, so they are basically trying all means to stop workers not to join this action", says Tshabalala. Tshabala says the strike will go ahead despite the SABC's threats. The picket is expected to end at 13:00 after a memorandum is handed over to the Department of Communication.